Got some new ebay deliveries had to share. The motor is an rc bee I got in the air on a trip to Austin (plane wifi). I also got a tyco silver hawk and a really nice refurbished testors cosmic wind. I think these planes have Mccoy engines. Almost forgot. 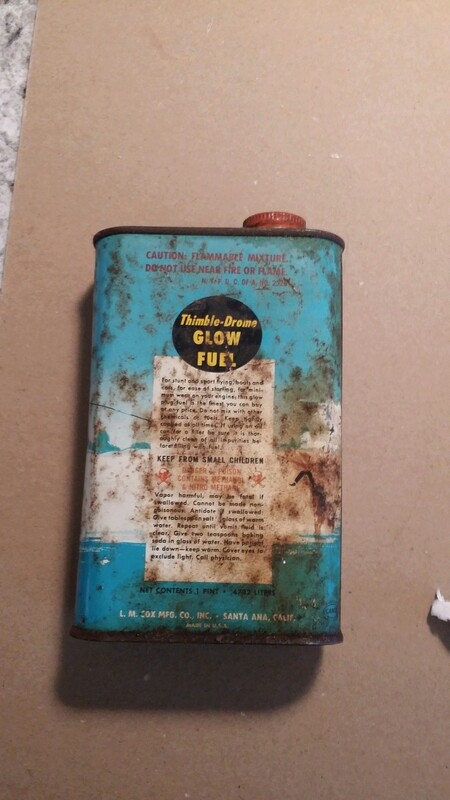 In the silver hawk box was this fuel can. Anyone know anything about it? I have heard that about the testor's stuff, the engine looks identical in both. The testor's say's it's from 1976, and the tyco should have been from the 90s given the instructions it came with. 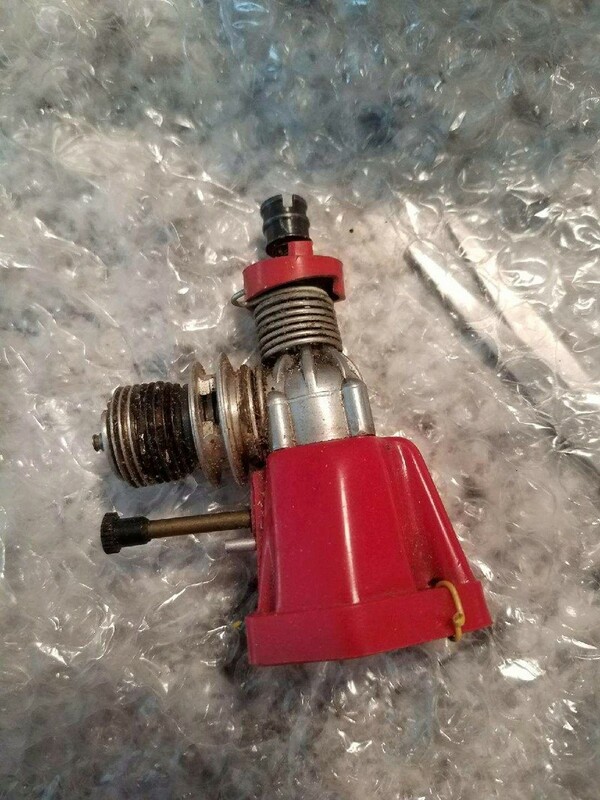 The other cool thing about the tyco is that it has a flywheel on the propshaft and a zip cord to start it, sounds like it is ready to fire right up. 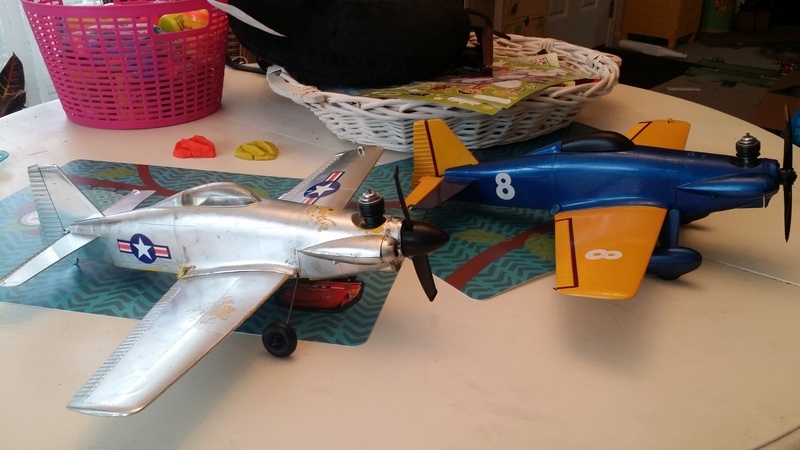 Both of em were $40 bucks a piece so I feel good about it, and if they are too under powered I can always modify them heavily and put better engines in. I got an older golden bee crankcase to go with the tank I got 2 weeks ago, I still need to check it to see if it has the 3 piece piston. rhardcastle wrote: Got some new ebay deliveries had to share. The motor is an rc bee I got in the air on a trip to Austin (plane wifi). 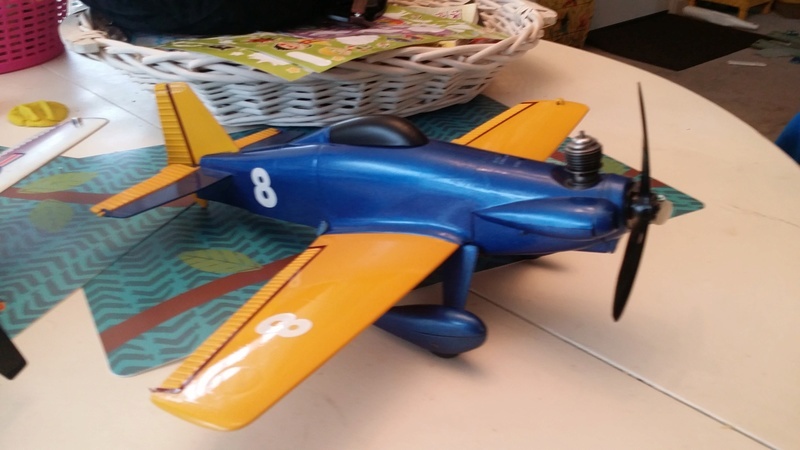 Congrats Rob, on the R/C Bee acquisition. I was looking at that and debating whether I should bid on it, glad to see you got it. The engine is reliable and easy throttling. I used it on a single channel rudder with throttle plane, 36" Sterling Minnie Mambo, which was the right combination of power. That was around the late 1970's through early 1980's. I flew it so much that I wore out the piston and cylinder, now on its 2nd set. Power is somewhere between a Cox Babe Bee and Black Widow. Inside the tank, Cox used a very thin and flexible tubing back then. It wasn't much for fuel, to the extent it went bad and I replaced it with Sullivan's smallest 1/2-A silicon rubber tubing. However, that didn't have as much flex. I didn't do much inverted flying as is, and so it wasn't a setback. Yours is missing the silicon rubber muffler cover. It burbled around the perimeter when running, was effective and amazingly took a fair share of heat without deteriorating. 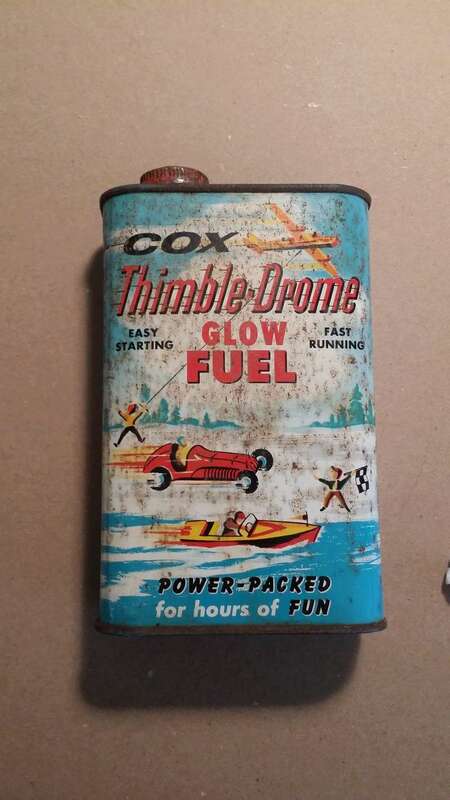 Unfortunately, Cox didn't stock much spares and not long before or after Cox was sold to Estes, the model rocket folks, the muffler covers were sold out. The engine runs fine without the muffler cover, just a little noisier. It is basically the continuation of the QZ and QRC muffled engines with special boost ports and no SPI, so a muffled engine did not lose power like the SPI engines (muffled, SPI allowed recirculating inert exhaust gases back into the combustion chamber). That's good to know that it has decent power. It was on there a week or so ago and no takers so it re-listed. I did the make offer and got it for $11! I'm not worried about the muffler, we run way louder and bigger stuff at my plane club so it shouldnt be an issue. It definitely needs a cleaning but turns really nice. Good thing about the engine is parts are still available from Cox International and Ex Engines. IMO, one could even replace the cylinder with Tee Dee II cylinder piston set (modified Sure Start by milling exhaust opening to eliminate 2 slit and add SPI). I think the throttle sleeve will still fit. Might even be a way to up the performance a touch. I flew my 36" Lee Renauld's Airtronics Q-Tee on single channel rudder only with auxiliary throttle using a Golden Bee and Ace R/C exhaust throttle sleeve back in the late 1970's. Even though the throttle sleeve opening is narrower than the exhaust port didn't seem to affect performance, flew well. Enjoy your buy. The larger tank adds about another minute to flight over the large 8 cc integral tank, which is a nice touch for being compact, not having to add an external tank (with caveats in obtaining reliable runs with these limited suction engines).